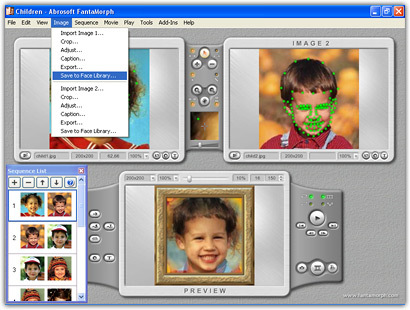 With this new add-in, Face Library, you can easily collect and store source images (especially for the portrait photos) along with key dots in a classified library. 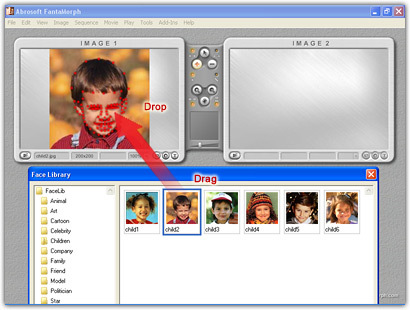 You can then simply drag some objects from the library to create a new morph or face composite without any new editing work. 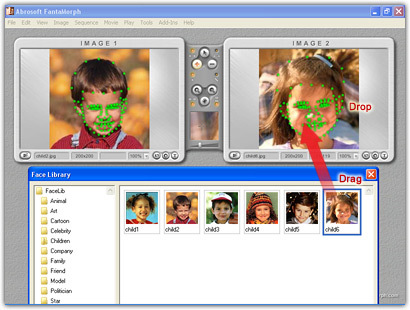 For example, after you finish a multiple morph project with 6 pictures, Child 1 - Child 6, you can choose the Image/Store to Face Library menu to store these pictures along with the key dots you placed to the Face Library. 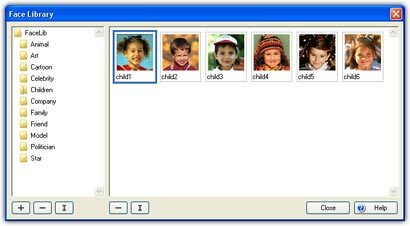 Now we have 6 independent faces in the Face Library. 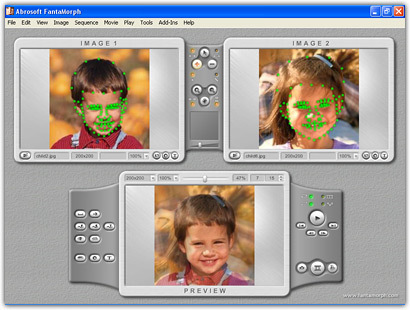 Suppose we now need to create a new morph from Child 2 to Child 6, we don't need to import the source images of Child 2 and Child 6 and then place key dots once again, the only thing we need to do is to launch Face Library, drag the Child 2 to Image 1, drag Child 6 to Image 2, and the new morph is finished immediately!